Corinth is a city and former municipality in Corinthia, Peloponnese, Greece. Since the 2011 local government reform it is part of the municipality of Corinth, of which it is the seat and a municipal unit. It is the capital of Corinthia. 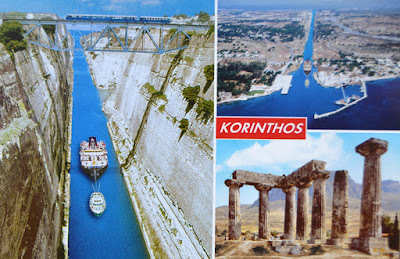 It was founded as Nea Korinthos or New Corinth in 1858 after an earthquake destroyed the existing settlement of Corinth, which had developed in and around the site of ancient Corinth.